Our insurance packages are designed to be hassle-free. The daily hire charge includes comprehensive insurance cover so you can get motoring knowing that you are protected in the unfortunate event of an accident. All our rentals come with comprehensive insurance cover. That means that you're covered for accidental damage to the motorhome and public liability, as long as you're not negligent or irresponsible. Unlike many other motorhome rental companies, we cover you for overhead and underbody damage (the most common accidents), single vehicle accident e.g. you reverse into a tree at a campsite, towing and recovery, as well as theft, fire and vandalism - pretty much everything. Our insurance cover is much more comprehensive than most but we do recommend you read our Rental Terms and Conditions so you know what situations your aren't covered for (exclusions). If the motorhome is damaged, you are required to contribute to the cost of replacement or repair up to the excess (deductible) amount of NZ$7500. If there's more than one incident in which the motorhome is damaged, a separate excess applies for each incident. You can reduce the amount you need to contribute (your excess) if you take one of our insurance packages. We know that most Wilderness guests are very good drivers. Even if you have not had an incident for years, it’s important to know that driving a campervan or motorhome in a foreign country (on the opposite side of the road for some) comes with considerably more risks than you would normally face at home. For that reason, the Wilderness team recommends you take one of our Insurance Packages so you can enjoy peace of mind on your New Zealand road trip. Why Take the VIP Option? You won't have to pay an excess should your rental vehicle be damaged (subject to our Terms and Conditions). You will get value for money. You don't have to pay an excess (deductible) should you damage the rental campervan PLUS you get loads of extras for free (RUC or Road User Charge Recovery Fee and GPS worth approximately $19 per day* as well as outdoor chairs and table, BBQ, 5 DVDs from our rental library, toll road fees, bag storage fee, and a hard copy of NZ Frenzy touring guide worth more than $200 per hire). The rate of accidental damage in campervans is much higher than in cars because the campervan’s dimensions are different than a car’s dimensions. Road construction methods and the condition of NZ roads are more likely to cause damage to the motorhome than in many other countries. Loose gravel is common even on main roads. A bond equivalent to the excess (deductible) amount is required at pick up. You may have to pay the daily rental rate for each day the vehicle is being repaired. Any costs to repair damage caused by a third party may not be recoverable as motor vehicle insurance is not compulsory in New Zealand and Australia. Approximately 250,000 drivers on New Zealand roads drive with NO insurance cover. The excess must be paid at the time of the accident regardless of cover provided by an independent travel insurance policy. Road User Charge Recovery Fee applies. Windscreen damage is very common. The average cost of windscreen chip repair is $60 and windscreen replacement is up to $1000. In addition to peace of mind knowing that your maximum liability in case of accidental damage to the campervan in no more than $450, you are not required to pay the Road User Charge Recovery Fee. 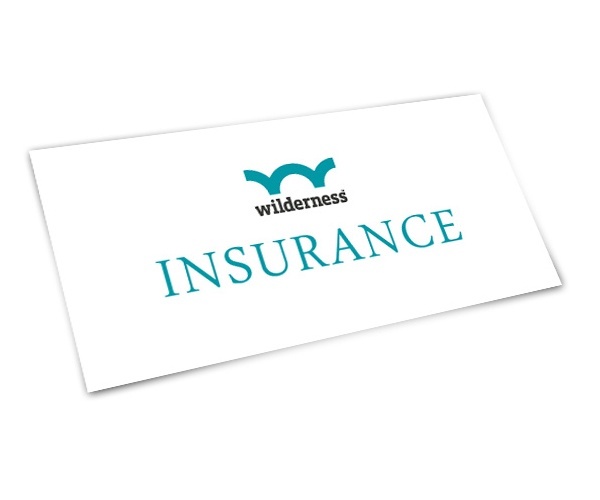 Please note that Wilderness’ insurance is null and void if any of the rental agreement terms are lieached. For more information, check our Terms and Conditions. You can select an Insurance Package at the time of booking or at any time up to and including your motorhome pick up. Just make your selection on My Booking page. However, we strongly recommend you make your choice as soon as possible. If the VIP option is selected on day of pick up, we cannot guarantee that all extra items are available due to other guests' selections. If you’re not sure, just ask our Reservations team. They’ll be happy to go through the options with you. 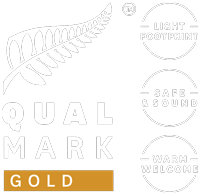 If you choose our Standard Cover, a bond of NZ$7500 is required when you collect your campervan or motorhome. This is to cover us should the vehicle be damaged or involved in an accident and if the conditions of hire that you sign are not satisfied eg the motorhome is not returned to the agreed location at the agreed date or time or is not fully refuelled. If you choose one of our Insurance Packages, the bond required is only NZ$500. The bond is authorised when you add your signature to the rental agreement. We do not take a cash bond or hold money on your credit card. You need to ensure you have sufficient funds available on your credit card at pick up. We recommend that you also arrange your own travel insurance. This will cover you for other events such as illness, travel cancellation, delays or missed connections, lost or stolen or damaged personal items and travel documents, personal accidents, and personal liability. See the cancellation and amendment terms in our Terms and Conditions for more details.